January marks the launch of Colwyn Bay THI’s new project, Colwyn Bay Scrapbook. Colwyn Bay Scrapbook seeks to capture the memories of Colwyn Bay that might otherwise be lost, bringing to life the past of the town’s buildings and communities, and safeguarding these unique recollections that might otherwise be lost. We’ve already collected quite a few memories, and have some lovely old photos. An important part of Colwyn Bay THI is making sure that what we uncover is accessible to everyone past the end of the Colwyn Bay THI. To achieve this, we’re working with Colwyn Bay Heritage Group to ensure the collected memories are kept safe for people to access in the future. 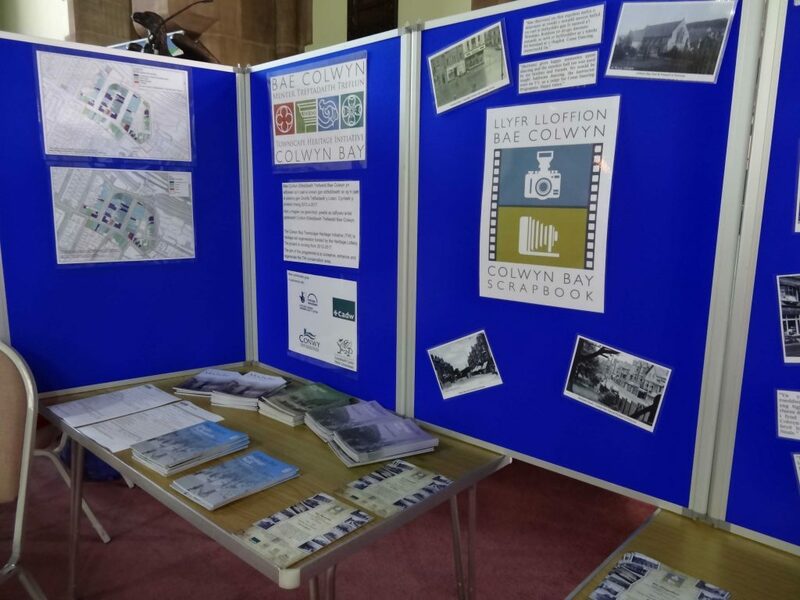 If you’d like to look at what’s been collected as part of the Colwyn Bay Scrapbook project so far, the memories, items and photos are displayed at events and at our monthly event, Colwyn Bay: Then And Now. This is held on the last Tuesday of every month in 2016, apart from in December when the event is held on Tuesday 20th December due to the Christmas Bank Holiday, you can check our Facebook page for updates on where the event is held each month.